Money Q&A: Why are banks offering me deals to open a new account? Q: Why are banks offering me bribes to open a new account? A: The reason some of the top banks and building societies are offering anything from £100 (First Direct), 3% cashback (Santander) or free travel insurance (Nationwide) to switch your current account to them, is that they are desperately trying to get your business before September. The banks know that from then new rules will make it easier for people to switch accounts, and give anyone changing deals better protection. To coincide with this, a number of banks, such as Tesco and Virgin Money, are expected to launch eye-catching offers. As most people are unlikely to switch again, banks are trying to lure in customers now. Current accounts are extremely lucrative for banks as once someone has signed up as a regular customer, it’s that much easier to sell them other products. 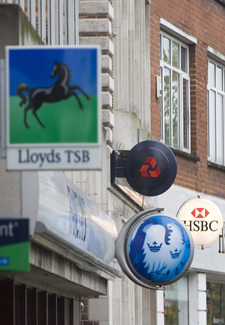 From September, banks will be forced to have a strict seven-day deadline to switch a customer’s current account to a rival. At the moment, it typically takes between 10 and 30 days. Under the new rules, banks will also have to pay up if any mistakes are made with the changeover. And any direct debits that are not moved across will automatically be moved from the old account into the new one for 13 months. So, my advice if you want to switch current accounts is to wait until September. With these new banking rules in place, the banks will have to work harder to keep your business or entice you across and you could bag a great deal.